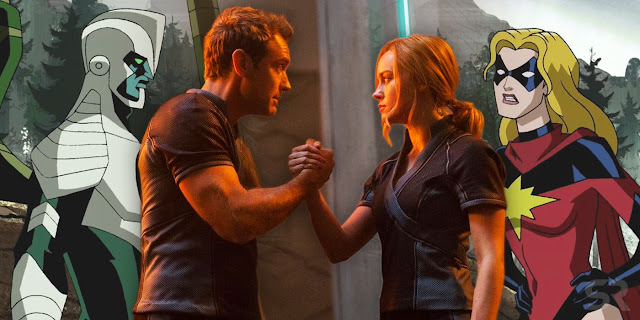 Jude Law's character in Captain Marvel could be a free amalgamation of both Mar-Vell and Yon-Rogg. Advertising for Captain Marvel has adopted an odd strategy. The facts demonstrate that the film would one say one is of the most long awaited of it; it's a Marvel motion picture, expected to be an important preface for Avengers: Endgame, so how might it be something else? But, Marvel's trailers and TV spots have gone about as if they think the normal moviegoer realizes exactly who Captain Marvel is, and who her supporting characters are. Symptomatic of this is Marvel's abnormal hesitance to concede exactly what character Jude Law is notwithstanding playing in the film. Discussion is seething in fan networks about whether or not he's the Kree legend Mar-Vell, or the abhorrent Yon-Rogg; Marvel appear to be fairly engaged at this, doing all that they can to abstain from settling the question. But then, it merits inquiring as to why the normal moviegoer should mind what Law's "Starforce Commander" is named. Blemish Vell might be adored by comic book perusers, yet he's a totally obscure amount to the run of the mill ticket purchaser for Captain Marvel. Far off Rogg, in the interim, is something of a profound cut in comic book legend; a Mar-Vell lowlife who was executed off decades prior in the funnies and as of late (and quickly) revived. It's as if Marvel trust Carol Danvers, and her supporting characters, are as of now immovably settled in the general population cognizance. They're most certainly not. Proof is currently constructing that Jude Law is to be sure playing Yon-Rogg in Captain Marvel - yet that the MCU rendition of the lowlife has been cautiously remade. It's conceivable one reason for this disarray is that, when structuring the wide screen manifestation of Yon-Rogg, Marvel Studios has drawn upon the two characters. 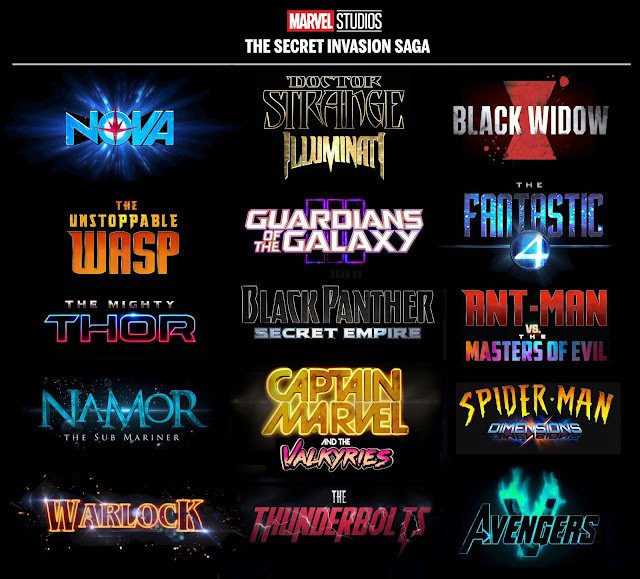 What's more, that, thus, raises the likelihood that this forthcoming hero blockbuster is significantly more opportune than Marvel has inferred in its showcasing up until now. In spite of the fact that Jude Law is a major name in Hollywood and he's getting top charging as one of the stars of Captain Marvel, to date valuable little is thought about his character. He's been portrayed as the pioneer of a tip top Kree unit known as the Starforce, a split group who are on the cutting edges of the war between the Kree and Skrull Empires. The Starforce Commander gives off an impression of being dynamic in the field, and appears to have a solid bond with the colleagues; especially the case with Vers, a.k.a. Hymn Danvers, a.k.a. Skipper Marvel. At the point when Law was initially thrown for Captain Marvel, the exchanges announced that he was playing the Kree superhuman Mar-Vell - the man who, in the funnies, roused Carol Danvers to end up a hero in any case. It seemed well and good; Mar-Vell is firmly fixing to Carol's superhuman beginning, and she even took up her codename in his respect. But then, for this appeared to be sensible, Marvel appeared to be inquisitively hesitant to affirm it. When one Disney site named Law's character as Mar-Vell, it was quickly altered. Normally, Marvel's hesitance persuaded Law had been thrown for another job altogether. The most well known hypothesis has been that Law is extremely a Kree character named Yon-Rogg, who likewise has connections to Carol Danvers' hero starting point story. Not at all like Mar-Vell, Yon-Rogg is a miscreant, and he was restored as a major aspect of Kelly Sue DeConnick's Captain Marvel rushed to torment the main saint; altogether, he controlled her recollections, and at last gave her amnesia. At the point when the main Captain Marvel trailer proposed the main legend was amnesiac, at that point, it appeared to expand the chances Law is having this specific impact. As we get closer to the film's dramatic discharge, stock is starting to surge the market; and both Funko figures and Hasbro's Marvel Legends figures have called him "Far off Rogg." The Marvel Legends box even highlights a short mystery portraying his job: "Pioneer of the Starforce group, Yon-Rogg is a saint among the Kree and a key resource in the Supreme Intelligence's war against the Skrulls." WHO ARE MAR-VELL AND YON-ROGG? It's crucially imperative whether Jude Law is Mar-Vell or Yon-Rogg; it characterizes whether he's a saint or a reprobate. In the funnies, Mar-Vell is a character made by Stan Lee and Gene Colan in 1967, a Kree warrior who was sent to Earth to screen humankind, and who even deceived his own kin with regards to mankind. He was promoted by Jim Starlin, and in a peculiar turn is best known for a notable and exceptional comic book demise. Where most beyond words tremendous design, "The Death of Captain Marvel" realistic novel saw the Kree saint pass on in the wake of losing his fight against a forceful type of malignancy. It's for the most part seen as one of the best comic book accounts ever, a mix of true agony with fantastical, infinite topics and ideas. In the funnies, Mar-Vell was simply the primary saint to call Captain Marvel, with Carol Danvers in the end taking up the personality in his respect. Conversely, Yon-Rogg was Mar-Vell's most prominent adversary in his initial days (Starlin substituted Yon-Rogg for Thanos himself, an undeniably increasingly amazing foe). Far off Rogg was pioneer of the Kree Expeditionary Force group who made a beeline for Earth, and was a piece of an evil trick to oust the Supreme Intelligence and restore the Kree to their old warlike ways. He despised mankind with a severe enthusiasm, and wanted to enslave the Earth under the Kree Empire. The raising quarrel between Mar-Vell and Yon-Rogg was, in the funnies, what drove Carol Danvers to wind up a superhuman in any case; Yon-Rogg endeavored to utilize a Kree gadget known as the Psyche-Magnetron, and Carol - head of security at a NASA establishment close-by - was excessively close when the gadget detonated. Far off Rogg was accepted slaughtered, yet was as of late uncovered to even now be alive, his mind reinforced with Carol's. These are two altogether different characters; yet is it conceivable Marvel has mixed the two to make the individual Jude Law is playing? It's crucially critical whether Jude Law is Mar-Vell or Yon-Rogg; it characterizes whether he's a legend or a miscreant. In the funnies, Mar-Vell is a character made by Stan Lee and Gene Colan in 1967, a Kree warrior who was sent to Earth to screen mankind, and who even sold out his very own kin with regards to humankind. He was advanced by Jim Starlin, and in a peculiar wind is best known for a notorious and exceptional comic book demise. Where most incredible awesome mold, "The Death of Captain Marvel" realistic novel saw the Kree legend bite the dust subsequent to losing his fight against a forceful type of disease. It's by and large seen as one of the best comic book accounts ever, a mix of genuine torment with fantastical, inestimable subjects and ideas. In the funnies, Mar-Vell was simply the principal legend to call Captain Marvel, with Carol Danvers in the long run taking up the character in his respect. Conversely, Yon-Rogg was Mar-Vell's most prominent adversary in his initial days (Starlin substituted Yon-Rogg for Thanos himself, an unquestionably progressively ground-breaking foe). Far off Rogg was pioneer of the Kree Expeditionary Force group who made a beeline for Earth, and was a piece of a vile intrigue to oust the Supreme Intelligence and restore the Kree to their old warlike ways. He loathed mankind with an unpleasant enthusiasm, and wanted to oppress the Earth under the Kree Empire. The raising fight between Mar-Vell and Yon-Rogg was, in the funnies, what drove Carol Danvers to wind up a hero in any case; Yon-Rogg endeavored to utilize a Kree gadget known as the Psyche-Magnetron, and Carol - head of security at a NASA establishment close-by - was excessively close when the gadget detonated. Far off Rogg was accepted murdered, yet was as of late uncovered to in any case be alive, his mind fortified with Carol's. depiction recommends that Marvel has changed Law's character by mixing Yon-Rogg with a few parts of Mar-Vell himself. Like the comic book adaptation of Yon-Rogg, he's a Kree pioneer; for this situation, however, he directions the Kree's first class Starforce unit. Once more, similar to the Yon-Rogg of the funnies, he seems, by all accounts, to be amazingly manipulative; as referenced, Kelly Sue DeConnick had one plot in which Yon-Rogg's bond with Carol Danvers left her amnesiac. 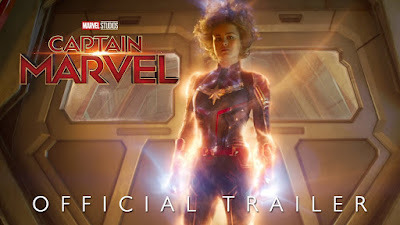 Given the trailers have likewise affirmed Captain Marvel has lost her memory, and trusts herself to be a Kree operator, it appears to be sensible to accept he's finished something comparable in the film. 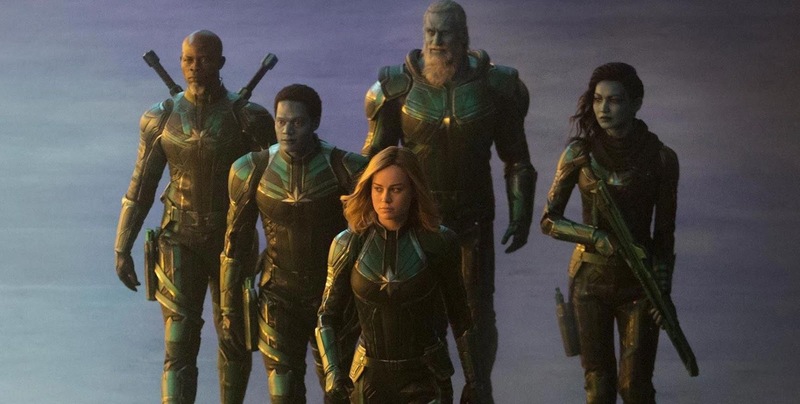 Be that as it may, there likewise appear to be clear contrasts between Captain Marvel's Yon-Rogg and the funnies, which recommend Marvel has improved him by consolidating a couple of components from Mar-Vell. Like Mar-Vell, this character has been depicted as a Kree saint, trusted and regarded, and taking a shot at sake of the Supreme Intelligence. Up until this point, nothing recommends that Yon-Rogg has a plan that is at all separated from his very own administrators', far less that he could be submitting treachery by plotting to undermine them. In addition, the tutor understudy relationship he's worked with Carol Danvers has all the earmarks of being great Mar-Vell, a nearby bond conceived of confronting foe fire next to each other. In spite of the fact that it's not been unequivocally expressed, there's even a probability that Yon-Rogg and Captain Marvel could be darlings in the film - and in the funnies, Carol Danvers was initially Mar-Vell's adoration intrigue. This combining may appear to rearrange Yon-Rogg's character, yet it gives his job in Captain Marvel an entirely different level of unpredictability. He can be both Carol Danvers' maker and her abuser, her tutor and her controller. He'll apparently be presented as a partner, a field officer who drives Starforce fighting against the Skrulls and may even be involved with the saint. This changes Yon-Rogg into a ground-breaking, ruthless power, and sets up an appalling double-crossing for Captain Marvel. As the #MeToo development has featured, very regularly the best abusers are individuals who appear to be generally decent, men who are in a place of power and trust but then utilize that control against ladies. One line in the trailers is an exemplary abuser, as Yon-Rogg reveals to Carol she isn't as amazing as she supposes she is - an endeavour to undermine the lady, and enable the abuser to stay in the situation of power. Obviously, this massively affects Carol Danvers' depiction in the MCU. Commander Marvel's birthplace turns into a story of maltreatment, with the main saint at last perceiving - and surviving - her abusers. There's a sense in which the saint nearly turns into an exemplification of the #MeToo development, a festival of female strengthening even with a world - for sure, in the MCU a universe - loaded up with such maltreatment. 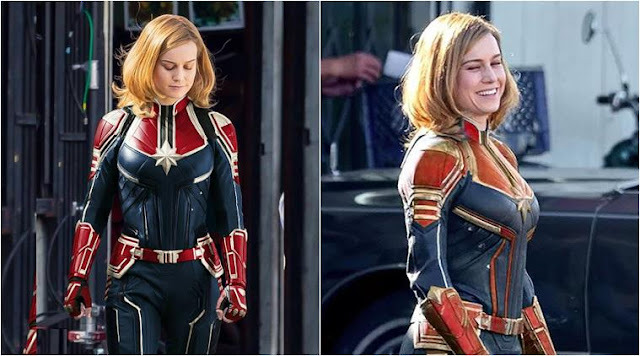 Most likely that is only the sort of character Brie Larson would be excited to play, and Marvel would settle on an exceptionally intense choice in fact by concentrating in on Captain Marvel as one of their bleeding edge saints when the residue has settled from Avengers: Endgame. There is really a solid comic book point of reference for this sort of story including Carol Danvers; in the funnies, Carol grew up a casualty of a damaging dad, and her mom just remained with the family so as to help her kids. In one (wrong-headed) Avengers plot, Carol was controlled by a grandiose power into turning into its sweetheart. The Avengers, incredibly, praised this as if it was a steady relationship, and enabled Carol to withdraw into the profundities of room with an evil being. At the point when Carol in the long run came back to Earth, she at first needed nothing to do with the Avengers, lastly gotten down on them about their activities. On the off chance that this hypothesis is right, by mixing Mar-Vell and Yon-Rogg, Marvel Studios has made a lowlife for our time; a solid, influential man who exploits a defenseless lady, controlling her so she does his will. In conquering Yon-Rogg, Captain Marvel turns into a saint for our time too, a hero of female strengthening who is on the bleeding edge of the battle against maltreatment.